Rally legend Timo Makinen, one of the original “Flying Finns” died yesterday at the age of 79. Timo was not a BRDC Member but he was a true rallying legend who raced occasionally. He won the RAC Rally three times and the Finnish 1000 Lakes Rally three times. He and Paddy Hopkirk were team mates for the famous BMC rally team in the 1960s of which Stuart Turner was team manager. When Stuart moved to Ford, he persuaded Timo to follow him and it was in Ford Escorts that he won the RAC Rally. 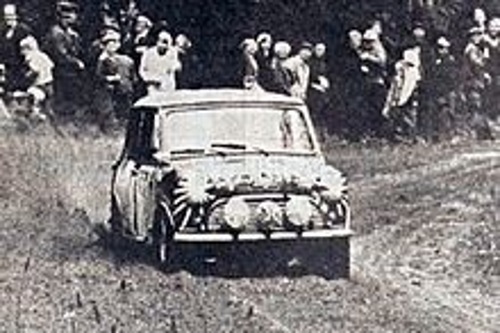 For BMC he won the Monte Carlo Rally in a Mini-Cooper S in 1965 and 1966 but the Minis were excluded in ’66 on dubious grounds trumped up by the French organisers. Timo carried on competing after retiring from front line rallying and once raced a Jaguar D-type at a Coys Historic Festival at Silverstone.